Gatlinburg Cabin Rentals: Hiking in the Smoky Mountains: Come to Gatlinburg, Tennessee! Hiking in the Smoky Mountains: Come to Gatlinburg, Tennessee! 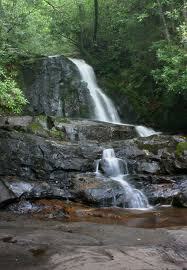 Hiking in Great Smoky Mountains National Park can be a fun and rewarding experience as in other national parks. It is a great way to both see and experience the park. More than 850 miles of hiking trails traverse the Great Smoky Mountains. They range from easy to difficult and provide half hour walks to week-long backpacking trips. The Appalachian Trail runs for 70 miles along the park's top ridge. Pets are not allowed on any trails except for the Gatlinburg Trail and the Oconaluftee River Trail. Backcountry camping requires a permit. 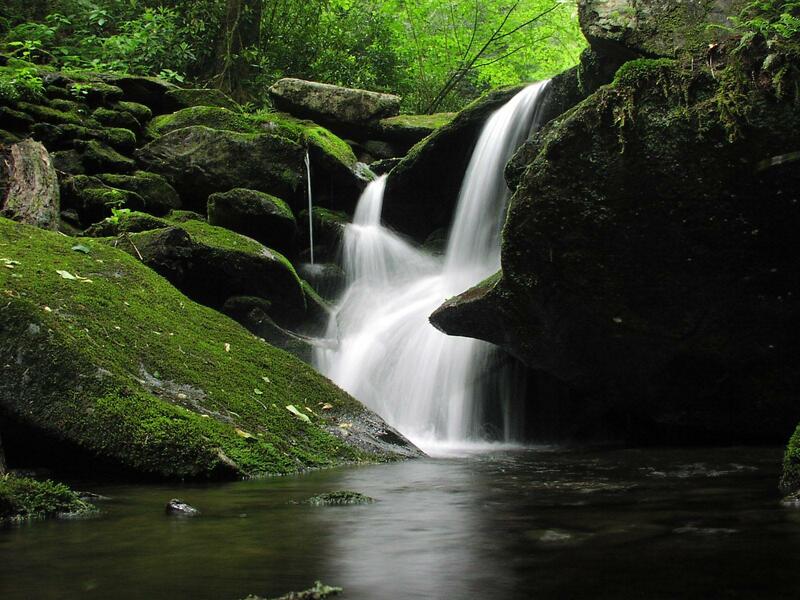 With so many options, the Smokies offer a tremendous number of hiking opportunities. Mentioned below are a few of the most popular and/or exciting destinations. All trails are described in round trip miles. It includes Arch Rock, a natural arch, Inspiration Point, and the Alum Cave Bluff. Inspiration Point offers a spectacular view of the West Prong of the Little Pigeon River's upper basin. The bluff resulted from Confederate mining of saltpeter during the Civil War. This trail continues to Mt. LeConte, and its beautiful viewpoints. Round trip distance from the parking area to LeConte is 10 miles. This hike heads downslope to a bald. Excellent views open to the south, toward Fontana Lake, and in spring the azalea explode with color. This trail head is not accessible by car from December 1 to April 1. Following the Appalachian Trail, this hike goes out to rocky crags along the State-line ridge. It has excellent views. It is a steep climb to two rock spires 4,755 ft in elevation. From the top they provide a spectacular 360-degree view.